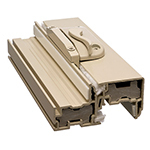 Heritage Series – Joyce Mfg. Co.
Joyce’s new Heritage line assures you of a lifetime of quality and performance. 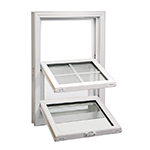 Energy efficiency, product design, and solid quality construction are what make the Heritage window series unmatched in our industry. 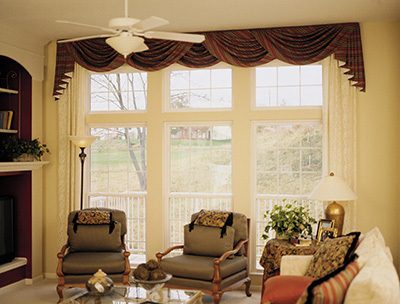 The quality is subtle but ever-visible in the Heritage family. 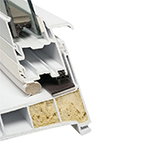 Our exclusive Magna-seal, much like the air-tight seal on a refrigerator door, creates the ultimate in energy efficiency and noise reduction. 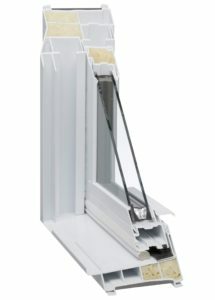 The Heritage’s coved interior sash and beveled exterior frame create an elegant moulding-like appearance, both inside and out. The Heritage also features a composite PVC reinforcement and optional foam filled sash and mainframes for superior performance. 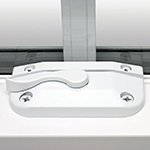 The stainless steel sash coil balance system will never need maintenance, assuring you a lifetime of trouble-free operation. 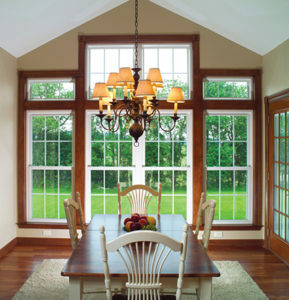 Many color and glass options are available to create the window that suits your décor perfectly. 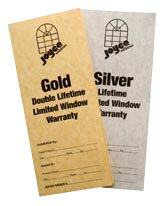 Of course, Joyce continues to offer its excellent warranty options for your peace of mind. 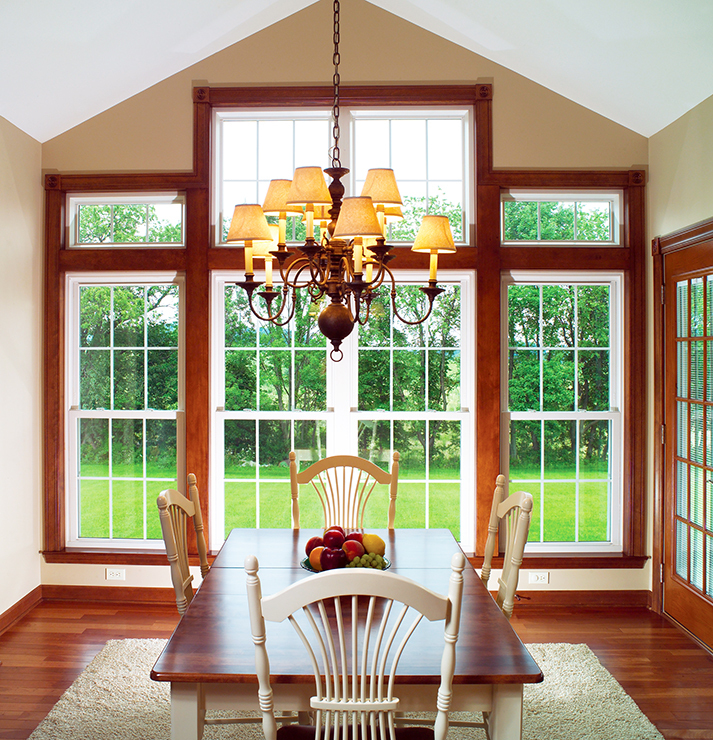 The ultimate window in our series, the Signature Double-Hung offers select, premium features combined with all of the standard quality of Heritage components. 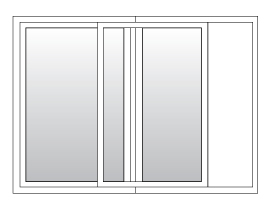 We endorse this as our Signature… the authentic best. 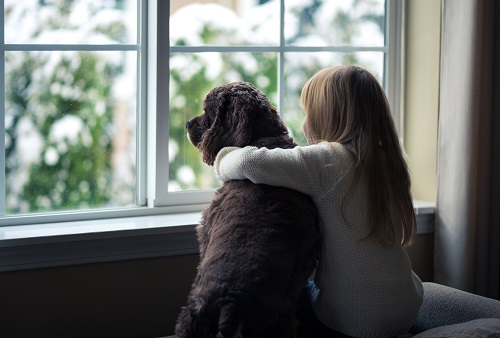 We have integrated state-of-the-art features that are designed for maximum comfort, efficiency, maintenance freedom and lasting beauty. 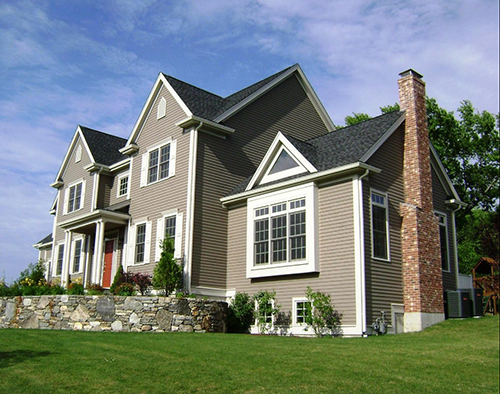 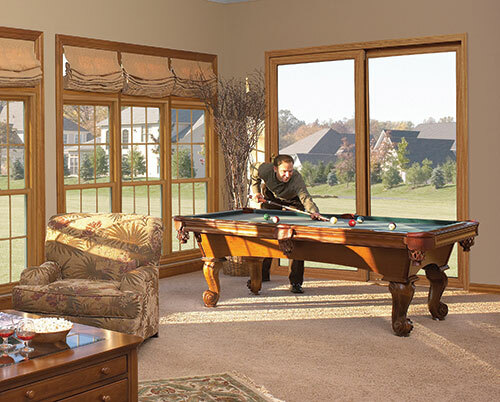 There is no equal when it comes to a window designed for the most astute and informed consumer. 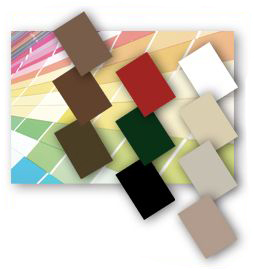 Finishes available in white, beige, creme white with interior laminated options in cherry, medium oak, light oak or a variety of exterior PRIZM colors. 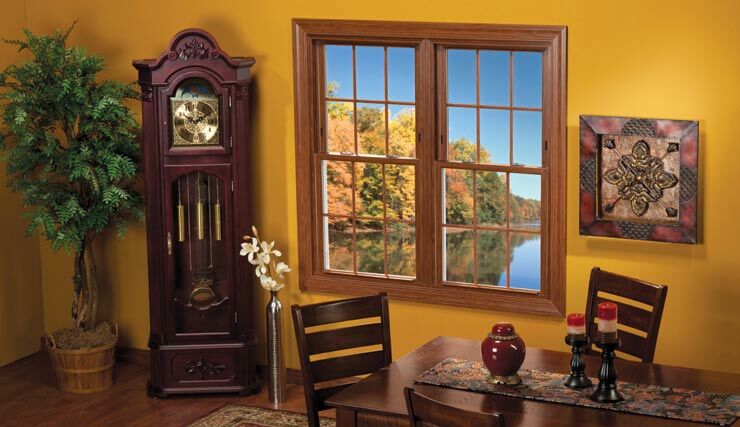 Heritage Double Hung windows offer top-of-the-line features, with a classic coved frame for a quarter-round wood moulding look. 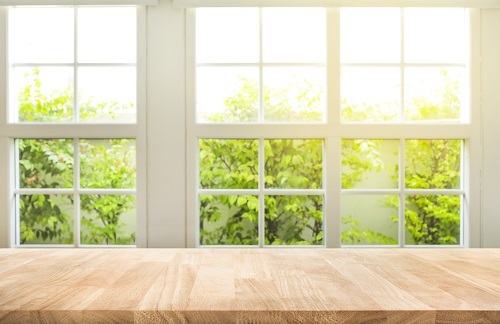 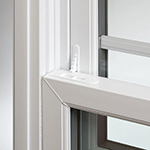 Our exclusive magna-seal, a magnetic weather stripping at critical points, seals your window much like the most air-tight door in your home, your refrigerator door, for optimum energy efficiency. 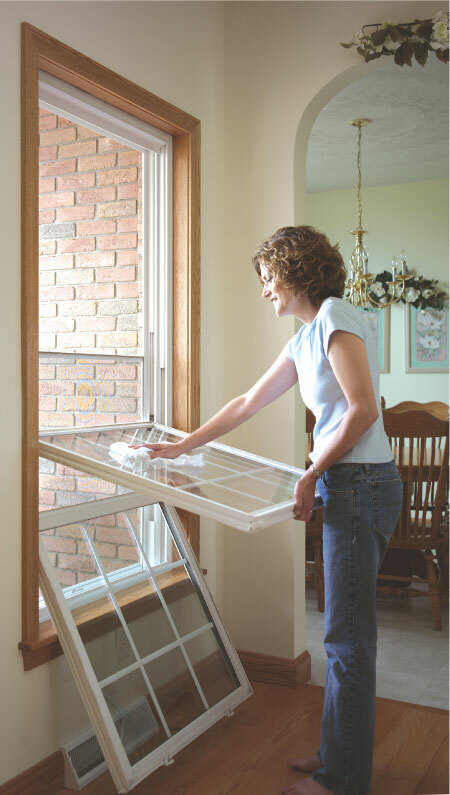 In double hung windows, both the top and bottom sash open to provide the ventilation you desire and tilt in for easy cleaning. 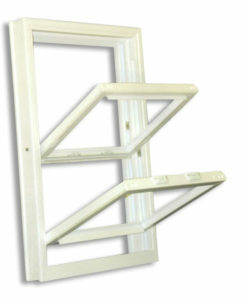 Heritage Slider windows offer top-of-the-line features, with a classic coved frame for a quarter-round wood moulding look. 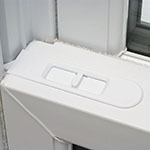 In slider windows, the sash swing in for easy cleaning, and slide or maximum ventilation. 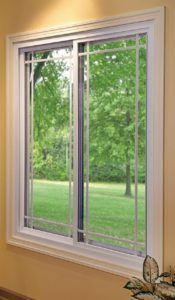 Heritage Slider windows offer top-of-the-line features, with a classic coved frame for a quarter-round wood moulding look.